The first wave of agent implementation toolkits focussed mostly on providing APIs for agent communication. We believe that new toolkits should focus on the public dissemination of complete agent architectures that provide significant value over building software agents from scratch. DECAF (Distributed, Environment Centered Agent Framework) is a software toolkit for the rapid design, development, and execution of “intelligent” agents to achieve solutions in complex software systems. DECAF is based on the premise that execution of the actions required to accomplish a task specified by an agent program is similar to a traditional operating system executing a sequence of user requests. In the same fashion that an operating system provides an environment for the execution of a user request, an agent framework provides the needed environment for the execution of agent actions. The agent environment includes the ability to communicate with other agents, efficiently maintain the current state of an executing agent, and select an execution path from a set of possible execution paths so as to support persistent, flexible, and robust actions. From a research community perspective, DECAF provides a modular platform for evaluating and disseminating results in agent architectures, including communication, planning, action scheduling, execution monitoring, coordination, and learning. By modularizing the design of the software, researchers can attack and analyze specific issues in agent development, coordination and planning without disturbing other parts of the architecture. From a user/programmer perspective, DECAF distinguishes itself by removing the focus from the underlying components of agent building such as socket creation, agent communication, and efficient implementation of complex architectural details. Instead, users may quickly prototype agent systems by focusing on the domain-specific parts of the problem via a graphical plan editor, reusable generic behaviors, and various supporting middle-agents. 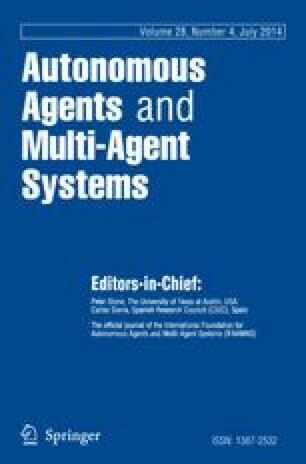 This article discusses the high level architecture of DECAF long with comparisons to operating systems architecture and other agent frameworks; descriptions of supporting middle agents and development tools; and an analysis of projects already developed using DECAF and some performance benchmarks from DECAF.